The experts at AA Air Company install and service all types of air conditioning systems in Maryville, TN. Whether you are looking to purchase your first AC system or upgrade your current air conditioner to a more efficient unit that can save money on energy bills, we can help you determine what’s right for your needs and budget. If you are happy with your current system be sure to keep it running at optimal performance with regular AC maintenance. It’s easy to forget that your air conditioner needs attention, until it’s too late. Regular air conditioning maintenance prolongs the life of your AC unit, saving you money by keeping your energy costs low and repair costs to a minimum. Do you have a new air conditioner? Even new AC units benefit from regular maintenance, which keeps them running efficiently and saves you money. Is your air conditioner not running as well as it should be? Contact AA Air Company . We are fully equipped to fix and service any air conditioner problems in Maryville, TN. Contact us today at 865-689-5290 or request service online to schedule an in-home estimate or to have your air conditioner repaired. AA Air Company technicians are experienced with heating and furnace systems in Maryville, TN. Are you looking to purchase a new furnace or upgrade your current heating system to run more efficiently? We can determine which furnace is right for your home. This is very important, as a furnace that is too small or too large won’t operate at an efficient level, placing extra Strain on the unit and costing you money! When was the last time you had your furnace checked? The moSt likely answers are “Never” or “I don’t remember.” Furnace maintenance is easy to forget about, until you discover that your furnace has Stopped working properly and your home or business isn’t as comfortable as it should be. Contact AA Air Company and requeSt an appointment to have us check and service your furnace. Do you have a new furnace? Even new furnaces benefit from regular maintenance, which keeps them running efficiently and saves you money. Has your furnace Stopped working properly? AA Air Company is equipped to take care of any furnace service repair you need in Maryville, TN. Contact us today at 865-689-5290 or request service online to schedule a FREE in-home eStimate or to have your furnace repaired. AA Air Company has years of experience installing and maintaining heat pumps in Maryville, TN. Heat pumps are a smart choice when it comes to your home’s comfort. They can be more energy efficient than traditional heating and cooling systems and can bring your energy bills down. As with any other aspect of HVAC syStems, heat pump maintenance is an important way to keep your system running optimally. 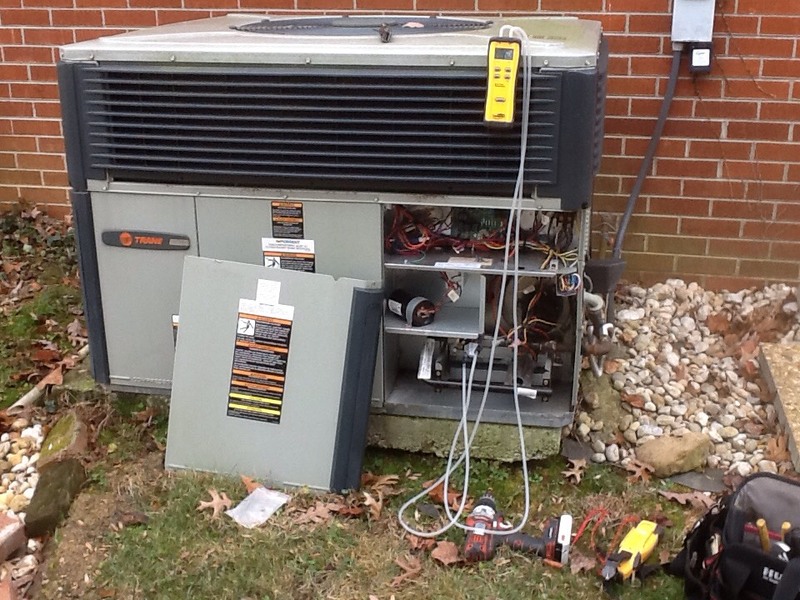 Don’t wait until something isn’t working properly to have your heat pump checked! Is your heat pump not working as well as it should? AA Air Company has the technicians and experience needed to get your heat pump back in working order in Maryville, TN. Contact us today at 865-689-5290 or request service online to schedule a in-home estimate or to have your heat pump repaired. Maryville zip codes include 37801, 37802, 37803 and 37804. Glad this company is a part of my life. American Standard new construction. Customer purchased media air cleaner. Trane gas package unit comfort club maintenance.